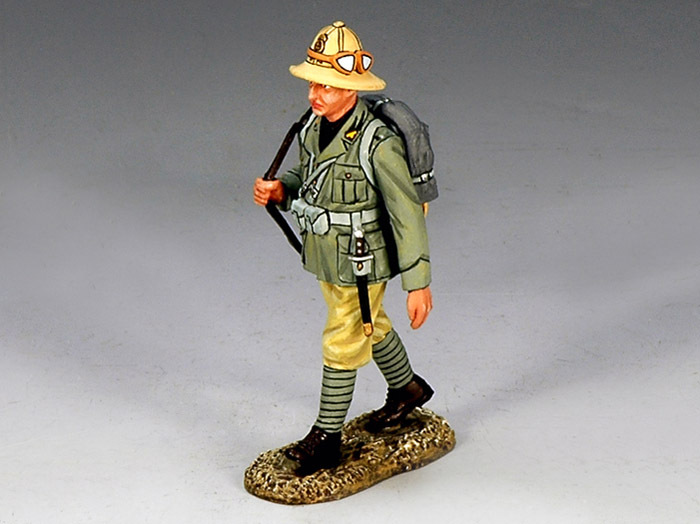 This soldier is wearing mixed rig"… typical of Italian Forces in both the war in Ethiopia in 1936 and North Africa. It was quite usual to see the gray/green jacket worn with the lightweight Khaki trousers and gray/green leggings. The Italian sun helmet was also widely worn by all ranks."